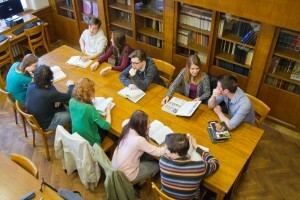 The Faculty of Arts at Charles University is currently one of the largest and most important research and educational institutions in the arts and humanities in Central Europe. 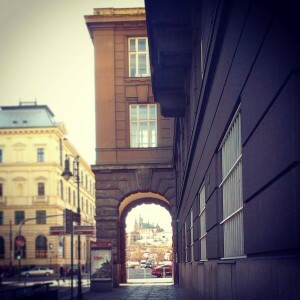 The Faculty was founded in 1348 by the Czech king and later Holy Roman Emperor Charles IV who established it as one of the four faculties of the Prague university, later named after him Charles University – the oldest university in Central Europe east of France and north of the Alps. 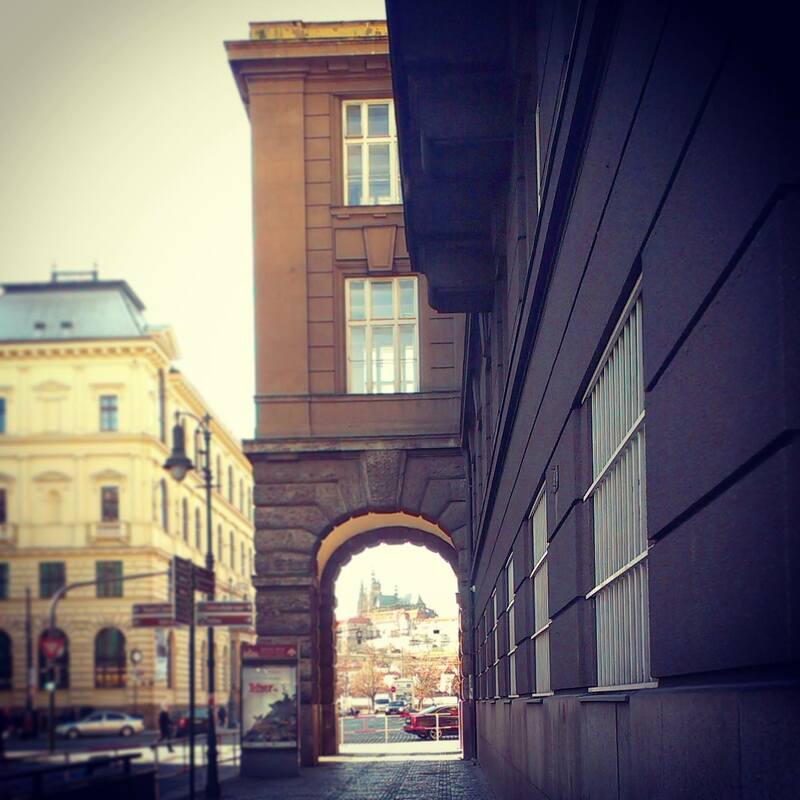 Ever since, it has been the intellectual centre of the Czech lands: alumni of the Faculty, their deeds and ideas, have been shaping the Czech society and culture and at the crucial moments of Czech history, the Faculty of Arts has always been at the very heart of the events. 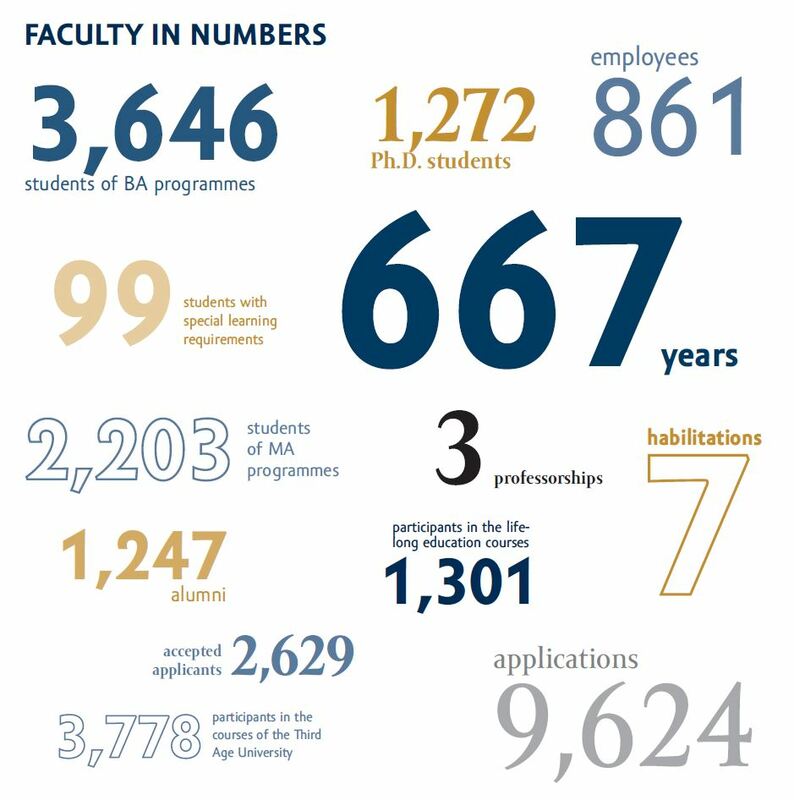 With close to 1,000 staff members, over 9,000 students and a growing international student population of almost 1,000 students from all over the world, the Faculty of Arts is a vibrant and diverse academic environment. Thanks to the flexible system of more than 700 possible double-subject degree combinations, the BA and MA degrees allows the students to focus on two subjects to the same extent, which increases their adaptability and provides them with more opportunities for their future career. The acceptance level is only 27%, which is a prerequisite for a more individual approach, necessary if the humanities are to be taught and studied seriously. 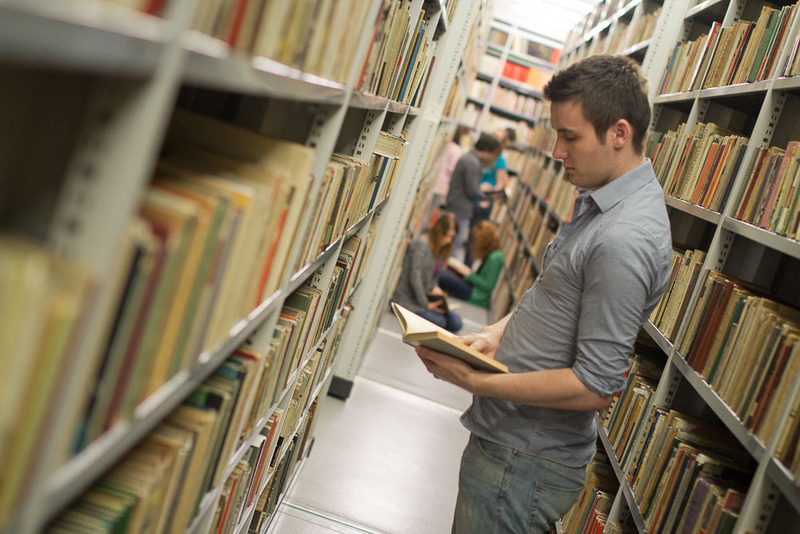 Students and researchers come to the Faculty of Arts to work in more than seventy subjects – a larger number than the majority of comparable institutions in the world can offer. Charles University as such ranks among the top 2% universities in the world and the Faculty itself ranks among the first 200 universities in the world in a number of disciplines.The Faculty attracts the most talented students from the Czech Republic and the number of applications for BA, MA and PhD programmes amounts to 10,000 every year. 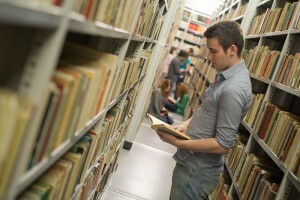 The remarkably wide range of disciplines at the Faculty of Arts includes philosophy and religious studies; history and archaeology; psychology; sociology and political science; theatre, film and music studies and a number of philological programmes which combine a rigorous study of a given language and courses in the associated literary, historical and cultural background. The Faculty offers courses in more than a hundred languages, dead and living, such as Albanian, Akkadian, Arabic, Armenian, Avestan, Azerbaijani, Basque, Bengali, Bulgarian, Czech (also special degrees for foreigners and for the deaf), Catalan, Church Slavonic, Chinese, Croatian, Danish, Dutch, English, Eblaite, Ancient Egyptian, Finnish, French, German, Gothic, Greek (ancient and modern), Hebrew (Old Testament and modern), Hindi, Hittite, Hungarian, Irish, Icelandic, Italian, Japanese, Korean, Latin, Lithuanian, Latvian, Lusatian Sorbian, Macedonian, Mongolian, Norwegian, Old Norse, Old Irish, Persian, Polish, Portuguese, Romanian, Russian, Sanskrit, Slovak, Slovenian, Serbian, Spanish, Swedish, Tamil, Tocharian, Tibetan, Turkish, Ugaritic, Ukrainian, Yiddish and Vietnamese. The research output of the Faculty, measured in the number of monographs and articles, is larger than that of any other institution in the humanities in the Czech Republic – which reflects both the quality of research and the level of tutoring. Every year, the Faculty hosts a number of international conferences and events of general cultural significance – exhibitions, concerts, lectures, public debates. In the last few years, the Faculty of Arts publishing house has earned prestigious awards and is now competing with the largest academic publishers in the country. … the Department of Egyptian Studies has been working in Egypt for the last fifty years and has made significant discoveries? Their discovery of the tomb of an unknown Egyptian queen in Abusir was voted one of the 10 greatest archaeological finds in 2014. … in 2014, Professor Tomáš Halík was awarded the prestigious Templeton Prize, given to people who “made an exceptional contribution to affirming life’s spiritual dimension”? 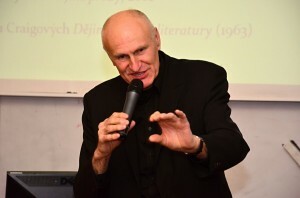 … Professor Martin Hilský translated the complete works of William Shakespeare into Czech?